Sailing is incredible, and letting your feet hang off the edge of a sailboat in mid to late afternoon only makes it better. Once you’ve set sail, turned off the motor, made it past the channel and into the sea, you can lay anchor and relax. The sun has warmed the boat and the water all day, and you lay back and sway with the ebbs and flows of the sea. It’s the type of moment that almost requires you to breathe in deeply, eyes closed, and exhale through your smile. That moment can only be described as lovely. Lying in a palm tree covered hammock is a rarity that I desperately wish was my normal. But not one of those modern hammocks – I mean the kind that displays the color and culture of a Central American country. The kind with tassels and a wooden bar. 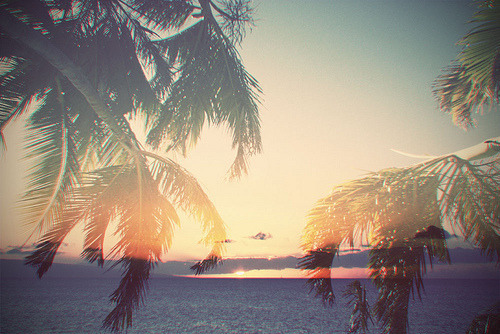 The kind that feels like it blends into the palm tree above, swaying in the wind. It’s the feel of the breeze that gets me. The breeze that gently rocks the hammock as I read a lovely book. It just gets to a part of my soul that is inaccessible to anything else – and I’m pretty sure it’s my heart. Swimming in the ocean just after the sunrise exhilarates my soul. It typically happens after a short walk or bicycle ride to the sand, huddling in blankets with my closest friends, and then shedding the blankets to run to the water. There are usually some yelps and squeals as the chilly ocean waves hit our stomachs for the first time, but the sounds are soon overtaken by laughter. We float on our backs, kicking our toes up into the sunshine and spreading our arms wide. I’m convinced, there simply is no better way to spend a morning. Running down streets in the warm summer rain makes me feel alive. Especially when it’s on the streets of London. We still had our missionary length skirts on from our time in Africa, and we dashed from the train station, through Green Park, all the way by Buckingham Palace and on to the Thames. A few toes were stubbed on cobblestone, a few flowers were bought from little old women on the corner, and our wild hair stuck to our necks as the rain poured on. I’ve rarely felt so alive. 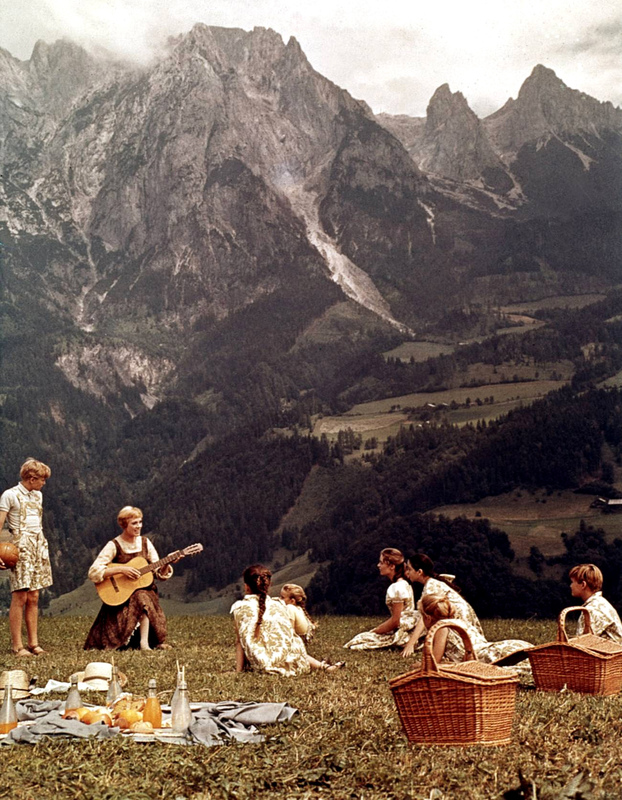 Every single thing about the Sound of Music makes me happy. The rhythm, the notes, the technicolor – it all makes me come alive to its sound, just like the hills. It makes me climb trees in clothes made out of old drapes, explore the hills of Austria, and play in a gazebo in the rain. I want to stick a pine cone on a guest’s dinner chair. I want to carry a guitar in a big sunhat by a fountain and click my heels. And just like this blog post, I want to constantly list a few of my favorite things – cause then I don’t feel so sad. Stephanie is a Jersey Girl gone Georgia Peach who’s life story is one of thickening plots and adventure. After studying theology and social justice, she began a 360 degree trek around the world sharing the gospel, exploring ancient temples, living in tree houses in the jungle, and falling in love with children all over the globe. She currently writes for Adventures in Missions and dreams of launching a missionary hostel in the Caribbean. You can check out her blog at http://stephaniebernotas.theworldrace.org or follow her on twitter. I just want to say, that is the best first sentence in a bio I’ve ever read: “Stephanie is a Jersey Girl gone Georgia Peach who’s life story is one of thickening plots and adventure.” Fantastically descriptive – I love it!